Prince Charles, who turns 70 today, has spent his lifetime doing charitable work, but his history of sharing strong opinions has left some observers uneasy about how he will serve as king. Prince Charles has been predestined for one job since the age of three — and he's had plenty of time to think about the way he'll shape the role. The heir to the throne turns 70 on Wednesday, still waiting to be king, although no one except him can say for sure what kind of monarch he will be. But the Prince of Wales has left plenty of clues about what is important to him. 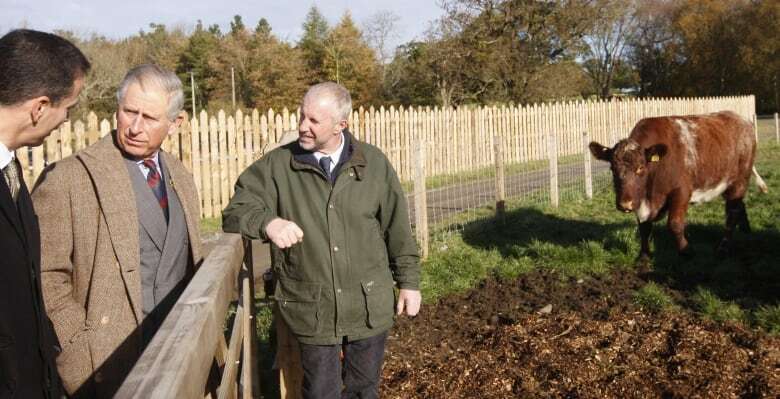 And the clearest indicators of that may be at an 800-hectare (2,000-acre) estate he was instrumental in restoring in the Scottish countryside. At Dumfries House, south of Glasgow, patrons can get to know rare breeds of pigs, turkeys and chickens, enjoy an organic meal fit for a royal and learn to use a professional-grade sewing machine. They're all activities that reflect priorities Charles has focused on for years, including conservation and employment training. As much as he was devoting time to those personal priorities over the decades, the headlines following Charles have more often focused on his connection to his sons, Princes William and Harry, and on the ups and downs of his love life — married first to the late Diana, Princess of Wales, and since 2005, to Camilla, Duchess of Cornwall. And yet, most of his adult life has been dedicated to charity work and campaigning for his favourite issues, including the ones that lie at the heart of what's happening at Dumfries House. "Some of the things that we're doing here, he was saying 30 or 40 years ago," Kenneth Dunsmuir said. As executive director of the Prince's Foundation, Dunsmuir keeps in regular contact with Charles. The prince visits the estate at least six times a year and has a say in every major decision. Charles's long-held views on sustainability, community development and architecture form the guiding principles of everything that goes on here. "The special thing about Dumfries House is that you can actually physically see what he was talking about all in one place," Dunsmuir said in an interview. In the mid-1700s, the Earl of Dumfries had the mansion built and outfitted with a virtually unparalleled collection of fine Thomas Chippendale furniture. The estate stayed in the family's hands until it was put up for sale in 2007. Christie's auction house in London was commissioned to sell the furniture. One bookcase was estimated to be worth about $8 million. Crews carefully loaded trucks with the ornate goods and headed south until, famously, a call came to turn around. Prince Charles had heard about the sale and reached an agreement to stop it from falling into private hands. He brokered a deal worth £45 million (more than $90 million Cdn at the time) to restore the estate and turn it into a centre for employment, education and sustainability. Nearly half the funds came from his charitable foundation. "I hoped that present and future generations would be able to visit and enjoy the different facets of life and times of a bygone era," Charles wrote in an open letter. Now, the venue is booked every week for weddings and other events. Schoolchildren learn about organic farming and meet endangered species. Scots dumpy hens, Crwllwitzer turkeys and Tamworth pigs are among the animals kept safe on these grounds. "The actual breed itself can be valuable, in terms of how it's adapted to certain conditions or environments," Charles explained in a recently aired BBC documentary, Prince, Son and Heir: Charles at 70. "I just think it's right that we should keep these gene pools going." Dumfries House employs nearly 300 people, making it one of the biggest job creators in East Ayrshire, a relatively high-unemployment area in Scotland. 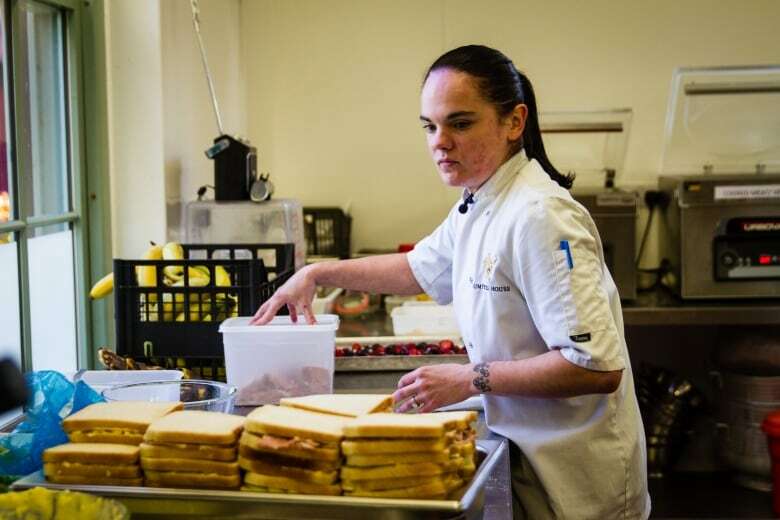 "I was jobless and I was a single mom," Kim Monaghan said while preparing sandwiches in the Dumfries House kitchen. Monaghan signed up for a five-week training program and got a job afterwards. Other courses focus on textile manufacturing and sustainable building techniques such as masonry and brickwork. "The course gave me a lot of confidence and a lot of belief in myself," Monaghan said. 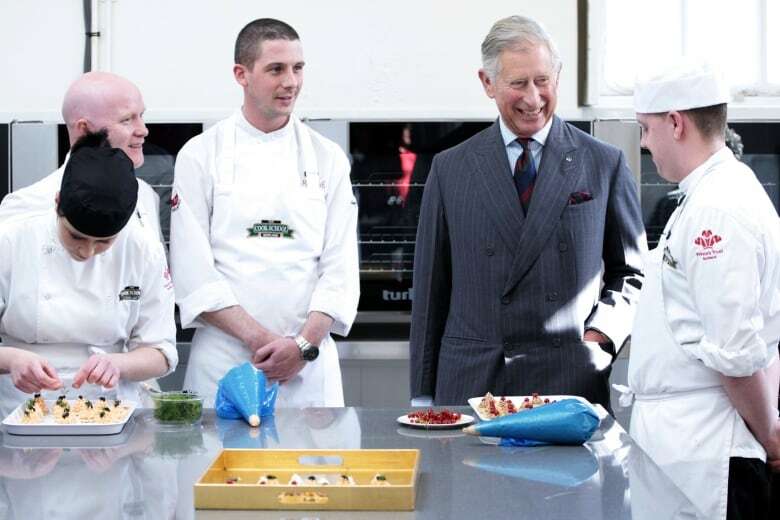 That was one of Charles's goals in setting up the Prince's Trust and Prince's Foundation, two distinct charities focused on sustainability, youth and employment. In 1976, the trust represented the prince's first major foray into his own charity work, with the aim of helping at-risk youth in Britain get ahead as the country struggled with high unemployment. He founded the organization with his £7,400 severance pay (nearly $14,000 Cdn at the time) after leaving the Royal Navy. 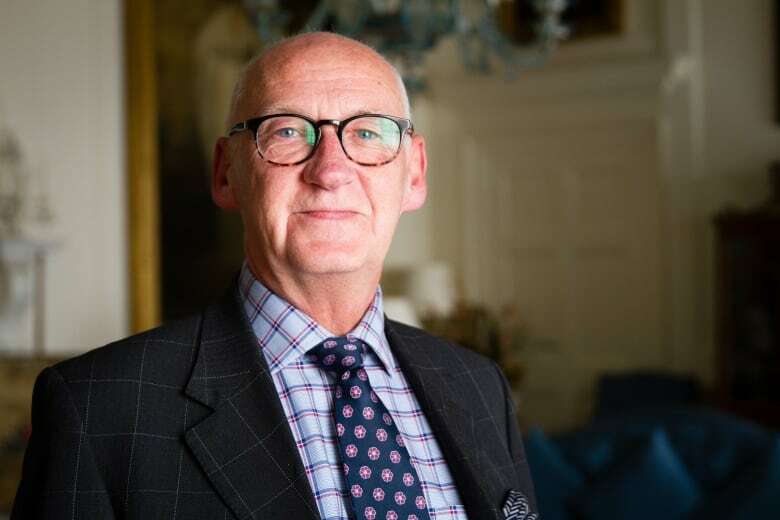 Dunsmuir, the foundation's chief executive, describes Charles as being "almost impatient to make a difference to people's lives." "To ultimately have a monarch with that [as] part of his DNA," Dunsmuir said, "would be phenomenal." The Prince of Wales is the longest-serving heir to the throne in British history. And he's hardly remained silent during the 66-year wait that began when his mother Elizabeth became Queen on Feb. 6, 1952. As a staunch campaigner for the environment, he began warning of the dangers of plastic waste as early as 1970, long before it became a mainstream concern. "The sustainability of the entire harmonious system is collapsing," he said in a keynote speech at St. James's Palace in 2009. "In failing the Earth, we are failing humanity." 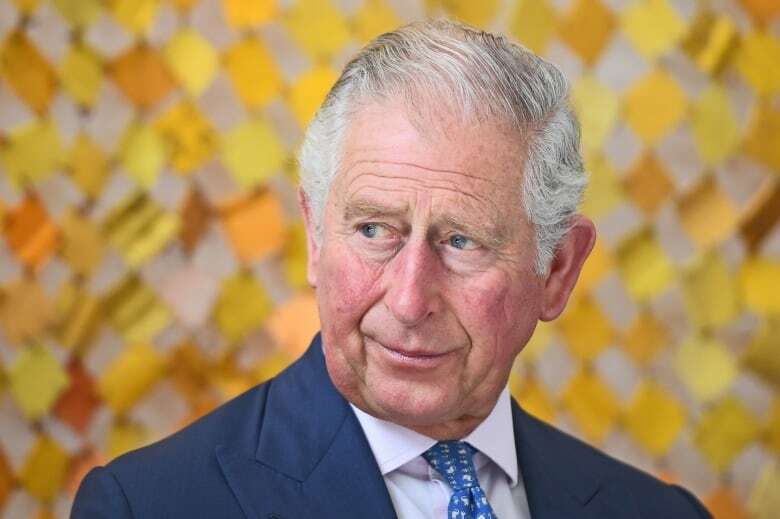 Charles gets "so frustrated" when "you've been banging the drum for this long and still no one listens," his younger son Harry said in the BBC documentary. Charles also sparked controversy with his outspoken advocacy against some forms of modern architecture. As London's National Gallery was set for a major extension in 1984, he was invited to speak at a gala event for the Royal Institute of British Architects. He famously stunned the crowd by comparing the extension plan to "a monstrous carbuncle on the face of a much-loved and elegant friend." The design was scrapped. The institute declared the speech "a discourtesy to architectural history." The National Gallery episode highlights what Charles's critics see as instances where his campaigning can go too far. The Queen, by comparison, does not voice her private opinions in public. Britain may not have a written constitution, but it's understood the monarch will remain politically neutral. Some observers wonder whether the prince will be able to rein in his advocacy once his mother dies and he ascends to the throne. "He's dealing with stuff that a lot of politicians find sometimes a little bit sensitive," leading British environmentalist Jonathon Porritt said. He has advised Charles on environmental issues for decades. Prince Charles and Vladimir Putin: Can royals wade into politics? In 2015, the prince was shown to have secretly lobbied the British government, with the London press raising concerns of undue influence. The U.K.'s Supreme Court allowed the release of Charles's letters to cabinet ministers — known as "black spider memos" because of his spirally handwriting. Throughout the 27 letters written in 2004 and 2005, Charles advocated for singular issues such as alternative medicine and a badger cull. "Constitutionally speaking, he's going to have to be much more careful about how he articulates some of these things" when he becomes king, Porritt said. Charles also expressed concern about the equipment given to British soldiers sent to Iraq in 2003. Is Canada ready for King Charles? As king, he would have cautioned the prime minister of the day, Tony Blair, against hurriedly deploying troops to the U.S.-led invasion, according to Robert Jobson's new biography Charles at Seventy: Thoughts, Hopes and Dreams. "Those meetings would have been harder for the prime minister because he still has a role to play to explain to the king why he wants to take the country to war," Jobson, a longtime royal reporter, told CBC News. "I don't think it would have been that easy." Ahead of his 70th birthday, Charles used his clearest language yet to dismiss concerns that he would be a "meddling" king. "The idea somehow that I'm going to go on in exactly the same way, if I have to succeed [the Queen], is complete nonsense," he told filmmaker John Bridcut in the Charles at 70 documentary. The possibility that the future monarch would set off a constitutional crisis is explored in Mike Bartlett's 2014 play, King Charles III. 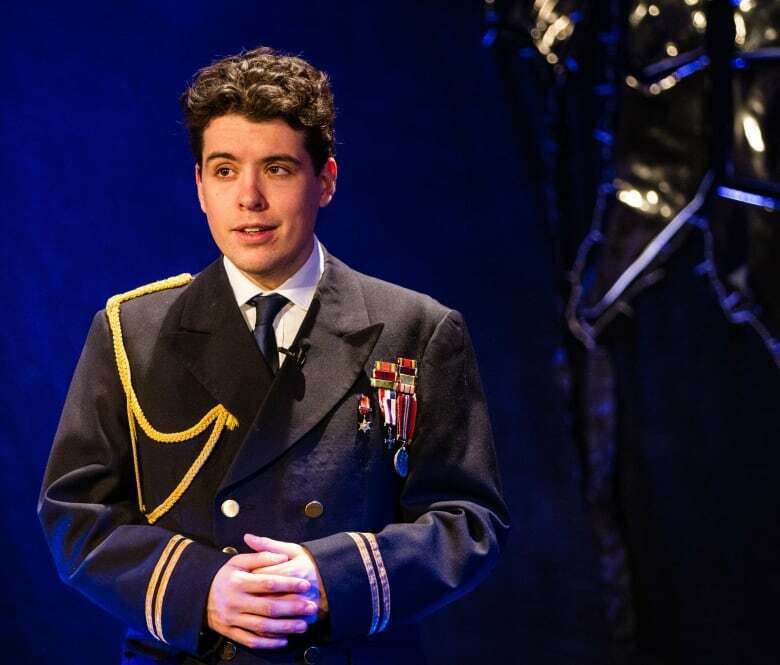 Presented last week at the ADC Theatre, part of the University of Cambridge — the prince's alma mater — the play is set in a not-too-distant future in which the Queen is dead. As king, Charles provokes a national outrage by withholding approval for a government bill and ultimately dissolving the British Parliament. The tale sparked real controversy in Britain when the BBC aired a TV version in 2017, complete with images of the Queen's casket and Diana portrayed as a ghost. British Conservative MP Andrew Bridgen told the Mail on Sunday viewers would find it "distasteful" and that it "denigrates and undermines our Royal Family." "We don't know whether it's going to go down like that," said Ferdinand Holley, the 21-year-old law student who played Charles at Cambridge. "Having said that, I do worry about what will happen when the Queen dies. Charles is an opinionated figure." The fictional tale sees Charles abdicate and William accede to the throne — an unlikely scenario that some Britons would like to see become a reality. Two separate polls published last year in the Sun and the Daily Express found that more than half of U.K. respondents would prefer to see the Duke of Cambridge become the next monarch. Geoffrey Wheatcroft, a longtime writer on politics and history, says skipping the Prince of Wales as monarch "would be for the best." Opinion polls in the U.K. consistently rank Charles as among the least popular members of the Royal Family. And, Wheatcroft points out, the prince would be nearly 80 when he succeeds the Queen if she lives to be her mother's age. Queen Elizabeth II is 92; the Queen Mother died at 101. "The great secret of the constitutional monarchy is that the monarch has no opinions," Wheatcroft said at his home in Bath, England. "I'm not trying to be ominous, [but] the monarchy might not survive the reign of King Charles III."